People wanted to come and were willing to pay the ticket price. Getting money out of people wasn’t as stressful as I had feared (I really hate asking people for money). We got loads of writing done. Lots of people were interested (and jealous!) when they heard about it, and wanted to come the next time. North Stradbroke Island is pretty easy to get to, and gorgeous to boot. It was possible, feasible, and doable. Don’t use an agent. Our agent steered us wrong on several points, some of which were the main downsides of our experiences last year. This included a ‘5-minute walk down the road’ to a hotel which turned out to be a 15-minute walk up a hill (which was a major difference to some of our attendees), and a deck we were assured would hold 35 people that was actually only able to hold 15. Liaising directly with the vendors (venue and catering) gave us a much better idea of what we were getting and the options available to us. As a result, there were no nasty surprises this time! Go visit the venue. It was so very helpful to be able to see what we were signing up for, and the managers were only too happy to show us around and give us an idea of what our weekend away would be like. We got to see into all of the rooms and were able to ask questions, none of which would have been possible from a distance. Get a dedicated room for the activities. It’s a NaNoWriMo Retreat, which means lots and lots of writing time, and the whole point of doing a mass excursion is for us to write in the same location. Having a dedicated conference room to ourselves was key. It also meant that we weren’t encroached on by anyone else, we were protected from the weather, and we could be rowdy if we chose. Don’t try to write and leave on the same day. Last year, we returned home on Sunday evening, and this meant that the group’s focus was split for the whole day between packing, moving out of villas, organising travel back to the mainland, and writing. It wasn’t a very productive day for most people. So instead, we decided to stay an extra night this year, and return on Monday morning. 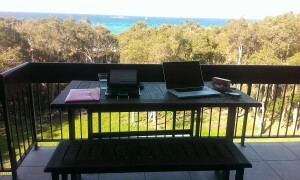 Ready to write on our balcony, with a wonderful view. This year, we went to Anchorage: a resort located right on the beach. Beautiful views from the rooms, an air-conditioned conference room, reasonable prices, and flexibility with sharing. 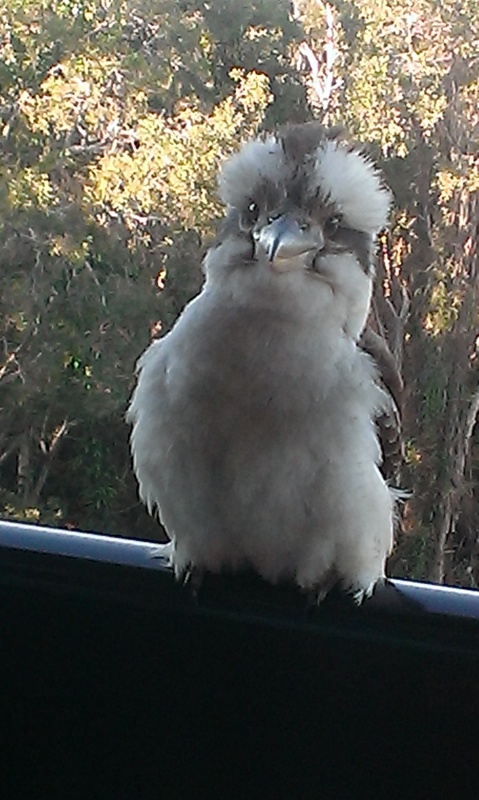 Plus, the room that became ‘ML HQ’ had its own mascot: a friendly kookaburra who liked to visit our balcony and hang out with us. We called him Kitten. A couple of the guys even got close enough to stroke him. The rooms were much more comfortable than last year, the views were spectacular, and the conference room was a huge hit. We were able to write as a group and run breakout events with everyone. It was also a lovely, air-conditioned hub for the weekend. 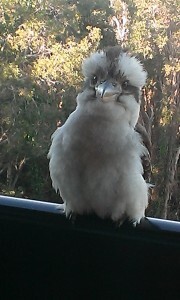 Kitten the Kookaburra. SO FLUFFY. Some writers chose to go off and sit elsewhere for the bulk of their writing, and that’s fine. They enjoyed the lovely poolside area or the beach, and most importantly: they got lots of writing done. I think it’s good to be flexible and let people write the way that works for them, and I’m happy that they had an enjoyable, productive weekend. This year, we tried a few new things as well, all of which went well! Thanks to one of my lovely co-MLs and the help of one of our Wrimos, we got special stickers for the Retreat attendees. They came out awesome. The stickers were part of our welcome packs, which were another new thing. They helped make the Retreat feel more official and professional, and simplified the registration/check in process. We tried a new activity as well: the Plot Bunny Herding Session (PBHS). I’ll tell you a secret, shhhh, but we didn’t actually plan what this was until about half an hour before it started. It sounded good, though, and it got a lot of interest, so we put it on the schedule anyway, believing that we’d pull something out of the hat in time. Because we’re awesome that way. What we ended up doing what having each person in the group write down up to four plot bunnies (those ideas that crop up and demand attention, but don’t fit into the story you’re writing at the time) on a piece of paper. Then everyone handed their sheet to the left. We went around the circle, introducing our story and reading out the plot bunny from the sheet we’d been given that best fit into what we were writing. There were some hilarious results, and some scarily appropriate plot bunnies, and one or two that made it into the actual novels that were being written. It took a long time (an hour and a half, three times what we’d budgeted for it), but it was so much fun that no-one minded. Our bonfire on the beach. The best way to end such a weekend. 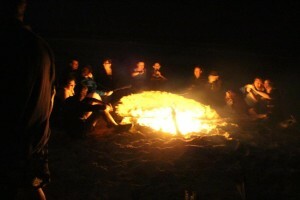 The other thing we tried this year was doing a bonfire on the beach. To prepare, we had our attendees write down names on two pieces of paper: one of their own characters and how they die; and a character from popular fiction that they wish would die. Then, once the fire was going and everyone was assembled, we read out what was on the papers and sacrificed them to the flames. Honestly, I was a bit nervous about this, as I wasn’t sure how the group would react. But they all seemed to take it in the spirit in which it was meant, which was all a bit of fun. It was interesting to note the differences in tone between the two types of sacrifices: it was more solemn when sacrificing their own characters and more gleeful for those characters we wish would just die. Overall, it went down really well, and it was a lovely wind-down to the weekend, chilling on the beach, watching people try (and often fail) to toast marshmallows. The Retreaters on the last night. Such an awesome group of people. It was a lovely weekend. More complex than last year from an organisational perspective, but less stressful by a mile. Everything went smoothly, and when we solicited (anonymous) feedback, it was all wreathed in praise and happy writers. Suggestions and complaints were very few, and that makes me happy. All the new stuff was good, keep it. The extra night was worth the cost. Sunday was a much more productive and Retreat-centric day, plus we had the bonfire night to cap off the Retreat. Keep the same venue. It’s gorgeous, the staff are great, and it has everything we need. Change up the catering. The food was good but not great, and we can do better. Have a mixer/get-to-know-you session earlier in the weekend. The PBHS was great at getting everyone talking about their novels, but it was on Sunday afternoon when people were starting to wind down. We should do something closer to the kick-off of the weekend for this to help people mix more easily, possibly on the Friday after registrations are all done with. Have it later in the month. We were constrained by venue bookings to an early weekend, which left less chance for new people to get involved (though some did!). 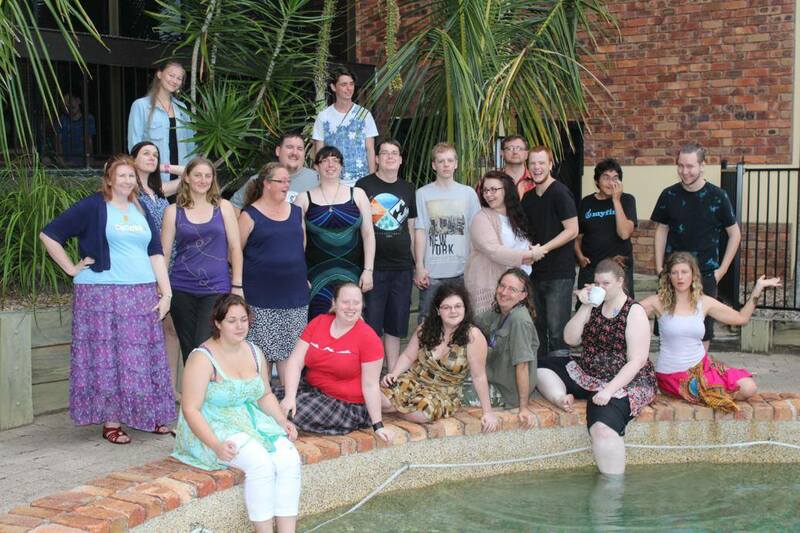 It also clashed with Supanova, which is a mainstay for many of those who would otherwise have come. It’s a lot! But it’s wonderful and worth all the effort. I’m so proud that I could help make it happen, and I can’t wait to get started on the next one.